1. NO PURCHASE NECESSARY TO PARTICIPATE OR WIN A PRIZE. A PURCHASE WILL NOT INCREASE YOUR CHANCES OF WINNING. VOID ANYWHERE OUTSIDE OF THE 50 UNITED STATES AND THE DISTRICT OF COLUMBIA, AND WHEREVER PROHIBITED OR RESTRICTED BY LAW. THIS PROMOTION IS IN NO WAY SPONSORED, ENDORSED, OR ADMINISTERED BY FACEBOOK OR TWITTER. 3. Promotion Period: The Promotion begins at 9:00:00 am Eastern Time (“ET”) on 10/26/15 and ends at 11:59:59 pm ET on 10/31/15 (the “Promotion Period”). 4. How To Enter: There are two (2) possible methods of entry into this Sweepstakes, as detailed below. There is a limit of one (1) entry per person, regardless of method of entry, throughout the Promotion Period. 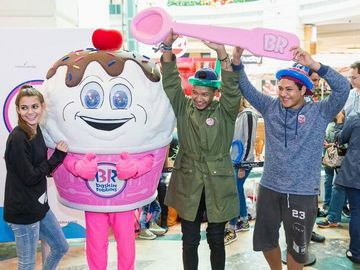 Entry Via Facebook Timeline: During the Promotion Period, visit the Baskin’ Robbins Facebook page (https://www.facebook.com/baskinrobbinsUS). Once at the Baskin’ Robbins Facebook page (the “Promotion Site”) during the Promotion Period, you must comment, as applicable, on the Promotion post which will contain an image of the Piñata Pumpkin Patch cake (such post will be pinned to the top of the feed), and provide your guess/answer to the question “how many candy pieces are inside the Piñata Punpkin Patch cake (hereinafter an “Entry”). 5. Submission Guidelines: Each tweet/comment that is submitted to this Promotion must comply with the following Submission Guidelines to be eligible. Any tweet/comment that, in Sponsor’s sole and absolute discretion, violates these Official Rules or the Submission Guidelines below will be disqualified and/or will not be eligible to win a prize. Contain language in which the Released Parties do not wish to associate themselves with, in their sole discretion. 6. Winner Selection: After the Promotion Period has ended, Sponsor or Administrator will review all entries, regardless of method, and the one (1) entry with the correct guess/answer, or the one (1) entry that comes closest, to the actual number of candy pieces inside the Piñata Pumpkin Patch Cake, without going over, will be the potential Grand Prize winner, pending eligibility confirmation. In the event there is more than one (1) entry with the same potential winning guess/answer, a random drawing will be performed from amongst those tied potential winning guesses/answers, in order to select the one (1) potential Grand Prize winner. Following Grand Prize winner determination, Sponsor or Administrator will, utilizing the same method as above, determine ten (10) potential First Prize winners, in accordance with the next ten (10) closest guesses/answers (utilizing random drawing(s) to break any ties). 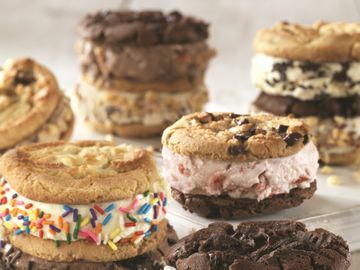 Once confirmed, as detailed below, the Grand Prize winner will receive one (1) year of free Baskin-Robbins Ice Cream Cakes (fulfilled as five (5) one hundred dollar ($100) Baskin-Robbins Cards). The calculation for the Grand Prize was reached by providing forty-one dollars ($41) per month for twelve (12) months, which would cover one (1) Ice Cream Cake per month for an entire year. Each First Prize winner, once confirmed as detailed below, will receive one (1) thirty-one dollar ($31) Baskin-Robbins Gift Card. The total ARV of all “Prizes” (First Prizes and Grand Prize) available to be awarded in this Promotion is eight hundred and ten dollars ($810). In the event there are not enough eligible Entries to award all applicable Prize(s), Sponsor retains the right not to award such Prize(s) (for the avoidance of doubt, the Grand Prize will be awarded first). The decisions of Administrator and Sponsor are final and binding on all matters relating to this Promotion. Odds of winning a Prize are dependent upon the total number of eligible Entries received in the Promotion Period. The potential Grand Prize winner will be selected first, followed by the ten (10) potential First Prize winners. There is a limit of one (1) Prize per person, throughout the entire Promotion Period. In no event will Sponsor be responsible for awarding more than the stated number of Prizes herein. Prize conditions may be added or modified by companies providing those portions of the Prize. The Prize restrictions/conditions stated herein are not all-inclusive. No transfer, substitution or cash equivalent for any Prize in whole or in part will be permitted, except at Sponsor's sole discretion due to Prize unavailability for any reason, and only then for a Prize of greater or equal value determined by Sponsor shall be allowed. All standard and stated gift card terms and conditions apply. 7. Prize Winner Notification/Verification: All potential Prize winners must comply with these Official Rules as published in order to be confirmed as an official winner and accept a Prize. Sponsor and/or Administrator will not accept any screen shots or other proof of time of tweet in lieu of their verification process, and all decisions of Sponsor/Administrator are final and binding. On or about two (2) business days after the Promotion Period has ended, Sponsor or Administrator will notify the potential Prize winner(s) either via: (a) a direct message from @BaskinRobbins to the potential Prize winners’ Twitter Account used to enter the Promotion (note: in order to receive such direct message, you must (a) be following @BaskinRobbins and (b) may have to have your account settings set to “unprotected” or “public”); or (b) via a comment to their comment, or via direct message on Facebook.. Upon notification or notification attempt, such potential Prize winner(s) will be required to respond to such direct message or comment to the email address provided, accepting the Prize and providing their physical or email address (as requested), for Prize delivery purposes, within three (3) calendar days of such notification or notification attempt, or the Prize will be forfeited, and an alternate potential Prize winner will be selected and notified. Sponsor will attempt to contact such potential Prize winner(s) two (2) times during the three (3) calendar day period. If in any instance, notification attempt(s) for a potential Prize winner fail for any reason, or if a potential Prize winner is found to have not complied with these Official Rules, such Prize will be forfeited and an alternate potential Prize winner will be selected from among remaining eligible Entries, if any. Acceptance of a Prize constitutes permission for the Sponsor and its designees to use the name, Twitter account information, actual or simulated likenesses, biographical information, city, state, opinions, and Prize information of Prize winner(s) in connection with the Promotion and the exploitation thereof (including, without limitation, for advertising and promotional purposes), in perpetuity, throughout the universe, in all media, without additional compensation, unless prohibited by law. 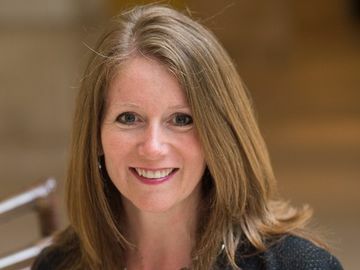 Further, winners shall indemnify the Released Parties from any claims, damages, liabilities and expenses (including reasonable legal fees) arising from breach of these Official Rules. In the event of a dispute as to any Prize winner, the authorized account holder of the email address used to register at www.Twitter.com or www.Facebook.com will be deemed to be the entrant. The “authorized account holder” is the natural person assigned an email address by an Internet access provider, online service provider or other organization responsible for assigning email addresses for the domain associated with the submitted address. 8. General Terms/Limitation of Liability: Noncompliance with any of these Official Rules may result in disqualification. Sponsor assumes no responsibility for late, lost, jumbled, incorrect, or inaccurate tweets, whether caused by any of the equipment or programming associated with or utilized in this Promotion or by any human error. Sponsor is not responsible for any problems or technical malfunction(s) of any telephone network or lines, computer online systems, servers or other services, providers, computer equipment, software, failure of any e-mail, technical problems or traffic congestion on the Internet or at any website (including Twitter and Facebook), including, without limitation, any injury or damage to participant's or any other person's computer related to or resulting from participation in this Promotion. Sponsor is not responsible for any typographical or other error(s) in administration of the Promotion, or in the selection/announcement of the Prize winners. If, for any reason, the Promotion is not capable of running as planned, including, without limitation, infection by computer virus, bugs, tampering, unauthorized intervention, fraud, technical failures, or any other causes beyond the control of the Sponsor which corrupt or affect the administration, security, fairness, integrity or proper conduct of this Promotion, the Sponsor reserves the right in its sole discretion to cancel, terminate, modify or suspend the Promotion. Should the Promotion be terminated prior to the stated expiration date, notice will be posted where Sponsor deems fit and the prizes will be awarded via random drawing from among all eligible Entries received up until and or after (if applicable) the time of modification, cancellation or termination, or in a manner that is fair and equitable as determined by Sponsor. All interpretations of these Official Rules and decisions by Sponsor are final. No software-generated, robotic, programmed, script, macro or other automated tweets are permitted. Sponsor reserves the right in their sole discretion to disqualify any individual they suspect or find: (i) to have used a software-generated, robotic, programmed, script, macro or other automated online tweet; (ii) to have tampered with the participation process or the operation of this Promotion; (iii) to be acting in violation of these Official Rules; (iv) to be acting in an unsportsmanlike or disruptive manner, or with intent to annoy, abuse, threaten or harass any other person; or (v) to have provided inaccurate information on any legal documents submitted in connection with this Promotion. CAUTION: ANY ATTEMPT BY ANY INDIVIDUAL TO DELIBERATELY DAMAGE ANY WEBSITE OR APPLICATION OR UNDERMINE THE LEGITIMATE OPERATION OF THE PROMOTION IS A VIOLATION OF CRIMINAL AND CIVIL LAWS AND SHOULD SUCH AN ATTEMPT BE MADE, SPONSOR RESERVES THE RIGHT TO SEEK DAMAGES FROM ANY SUCH INDIVIDUAL TO THE FULLEST EXTENT PERMITTED BY LAW. Participants agree that the Released Parties, (a) shall not be responsible or liable for, and hereby release the Released Parties from, any claims, losses, damages or injuries of any kind (including death) resulting, in whole or in part, directly or indirectly, from participation in the Promotion or any Promotion-related activity, or from acceptance, receipt, possession and/or use/misuse or inability to use a Prize, and (b) have not made any warranty, representation or guarantee, express or implied, in fact or in law, with respect to a Prize, including, without limitation, to such Prize’s quality or fitness for a particular purpose. The Released Parties shall not be liable for any injury, damage, loss, expense, accident, delay, inconvenience or irregularity that may be caused or contributed to (1) by any wrongful, negligent or unauthorized act or omission on the part of any of their agents, servants, employees or independent contractors; (2) by any wrongful, negligent or unauthorized act or omission on the part of any other person or entity not an employee of the Released Parties; or (3) by any other cause, condition or event whatsoever beyond the control of the Released Parties. Failure of Sponsor to enforce any provision herein shall not be deemed a waiver of such. UNDER NO CIRCUMSTANCES WILL ANY PARTICIPANT BE PERMITTED TO OBTAIN AWARDS FOR, AND PARTICIPANTS HEREBY WAIVE ALL RIGHTS TO CLAIM, PUNITIVE, INCIDENTAL, CONSEQUENTIAL, OR ANY OTHER DAMAGES WHATSOEVER. IN NO EVENT SHALL SPONSOR BE LIABLE TO ANY PARTICIPANT OR WINNER FOR DAMAGES THAT EXCEED THE VALUE OF THE PRIZE TO BE AWARDED TO THE INDIVIDUAL ENTRANT IN THIS PROMOTION. In the event that a court, or other tribunal of competent jurisdiction, shall hold any of the provisions of these Official Rules to be illegal, invalid, or unenforceable, such provisions shall be limited or eliminated to the minimum extent necessary so that these Official Rules shall otherwise remain in full force and effect. 10. Request for the Name of Winners and/or Official Rules: For a list of the names of the winners, available after the Promotion Period has ended send a self-addressed stamped envelope, to be received by 01/31/16, to: Baskin-Robbins Piñata Pumpkin Patch Cake Promotion c/o bottlerocket marketing group, LLC, 26 Patriot Place, Suite 104, Foxboro, MA, 02035. 11. Sponsor: Dunkin’ Brands Inc., 130 Royall Street, Canton, MA 02021.